EXCLUSIVE PREMIER!! 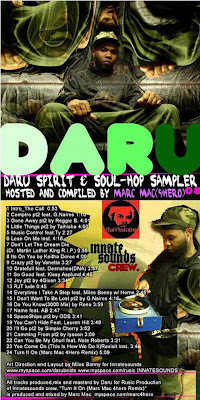 !Daru Spirit & Soul-Hop Sampler 08’ Hosted & Compiled by Marc Mac(4hero) Promo Download..
24 tracks with Exclusive "Turn It On"Remix by UK’s own Legendary Marc Mac(4Hero)!!! Much Respect.